Looking for the right Realtor? Darcie exemplifies outstanding qualities derived from a variety of life experiences that will help you successfully achieve your real estate goals. Born and raised in Hawaii, this local girl grew up in East Honolulu with a love for sunshine, swimming and ocean sports. She graduated from the University of Hawaii and received a commission in the United States Air Force. Her first active duty assignment sent her to the freezing northern tier of North Dakota as a nuclear missile launch officer. 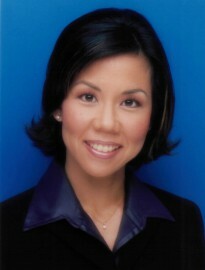 Her interest in real estate began in 2002. Upon leaving active duty she pursued her real estate license and continues to serve as a Lieutenant Colonel in the Air Force Reserves. She is a hard-working single mom of three children and caring for family is her priority. In her spare time she is an active volunteer at her community church and schools. She has an adaptable, driven and goal-oriented style work ethic, and displays a very dedicated, courteous, honest, and sincere loyalty to her clients. So if you’re looking to buy or sell real estate, Darcie will make sure to pay meticulous attention to the business details, while still treating you like family. She loves dogs, gardenias, orchids, and Starbucks coffee. Her favorite color is purple. Three basic things inspire me. My God – my faith inspires me to be the best that I can in serving others. Life is about serving, helping, and loving your family, friends, neighbors, and even strangers in need. My country – I believe in the freedoms we are given as citizens of our great nation. More so, I believe it is everyone’s duty to protect those freedoms – to protect them from misinterpretation and being taken for granted. My children – God has entrusted me with three beautiful children. I’d give my life for them. Everything I do is for their well-being.